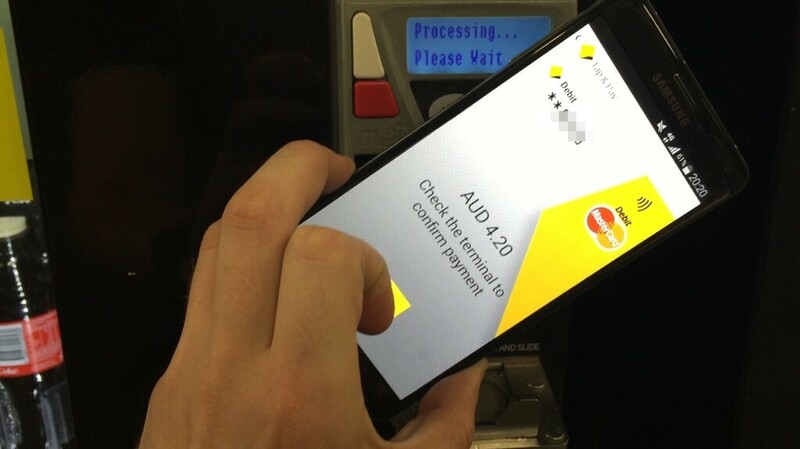 Commonwealth Bank has finally embraced ‘Host Card Emulation‘ (or HCE), a new API that was introduced with Android 4.4, KitKat – allowing anybody with a device running Android 4.4 or later (and has NFC) to use ‘Tap and Pay’, or PayPass at any terminal that supports it. 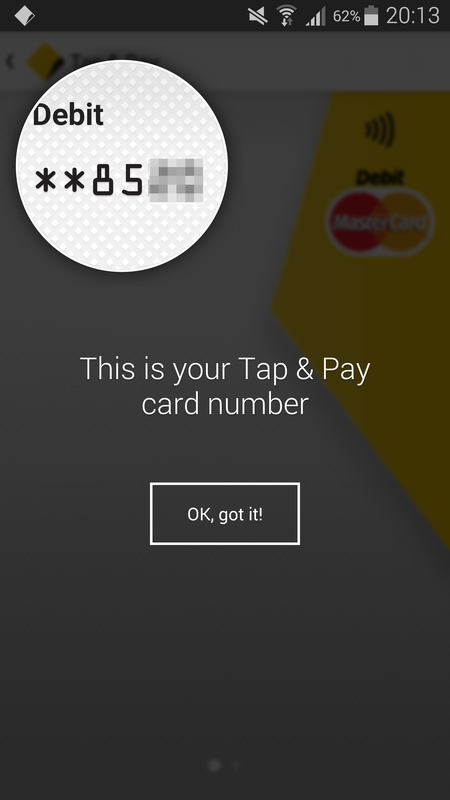 Host Card Emulation provides developers with a way to emulate a payment card, purely in software. Previous solutions, such as Optus’s Cash by Optus have required separate hardware, in this case, being a SIM card to store the ‘secure element’. 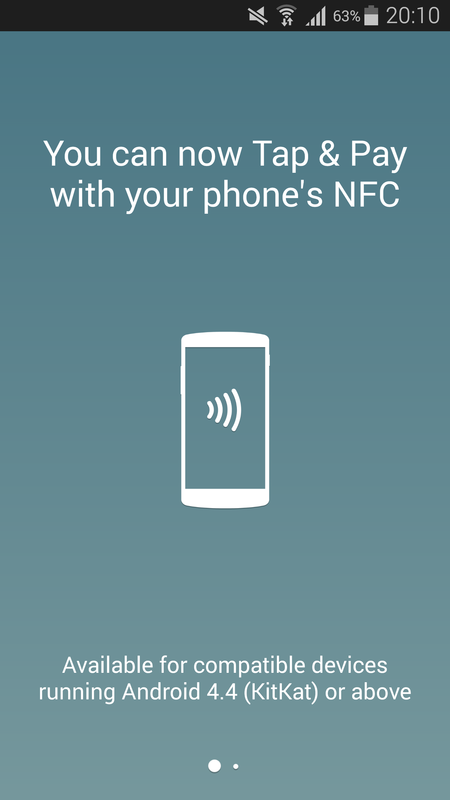 The problem with this is obviously you need separate hardware – the SIM card. And so you’d need CommBank to work with Optus, Telstra, Vodafone etc, repeat that for each of the banks… you see the problem here. 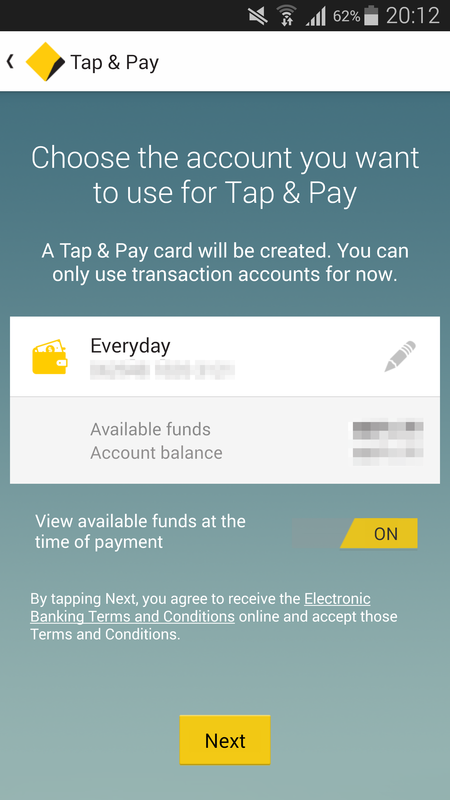 Commonwealth Bank and Westpac have also previously supported ‘Tap and Pay’ on a handful of Samsung handsets – in this case, each bank has negotiated access with Samsung to use the secure element that exists on the device itself. The problem with this is Samsung controls access, and so this is on a per device basis, and then per financial institution. Not ideal. 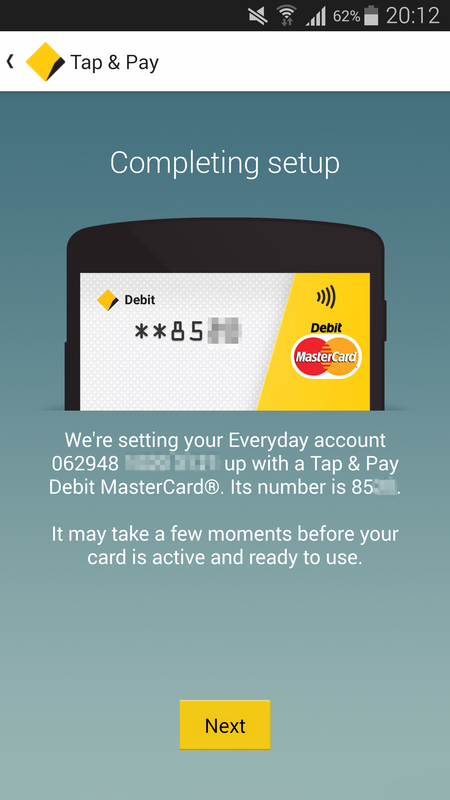 Of course, CommBank has also previously explored bringing Tap and Pay to the iPhone with the iCarte, and will hopefully be participating in Apple Pay when it finally arrives down under. 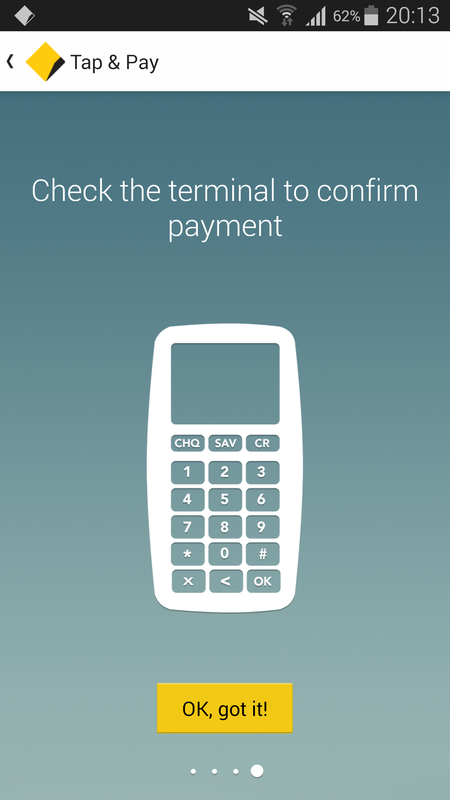 Set up takes a few minutes by following a few steps, and you’re ‘given’ a virtual card – rather than using your actual card number to make payments, you’ll get a ‘virtual’ card with a different number. 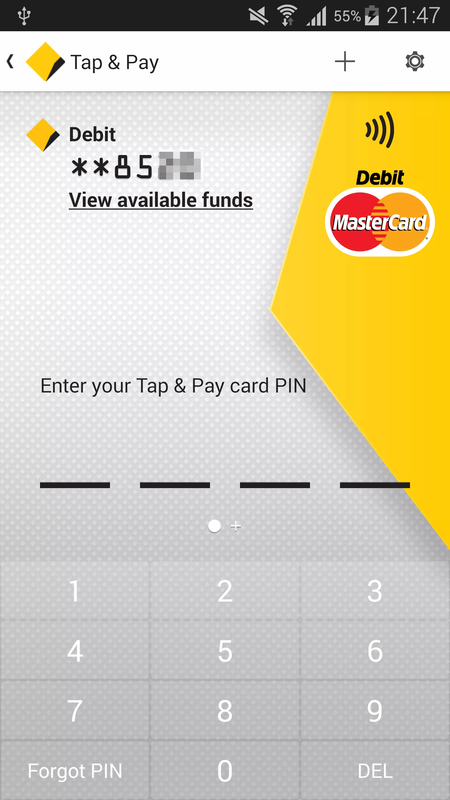 To use your phone, you’ll have to open up the CommBank app (though a home screen shortcut is provided), and tap on ‘Tap & Pay’. 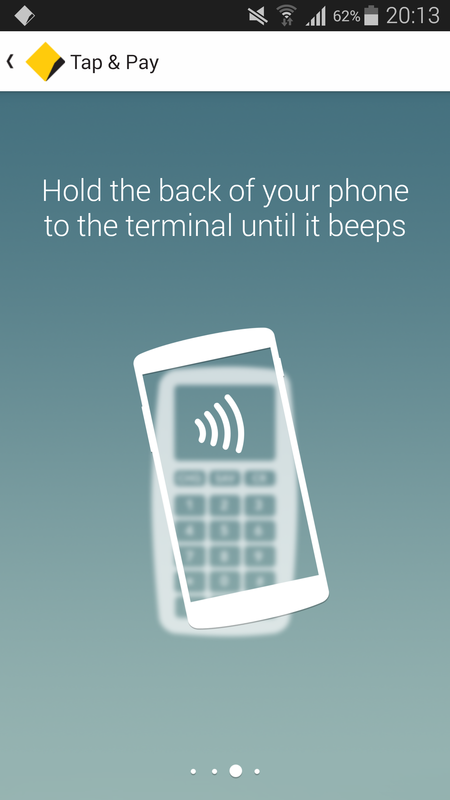 You’ll enter in your Tap & Pay pin, and then your phone is ready to touch to the terminal. The update is rolling out now and should be available on Google Play shortly. 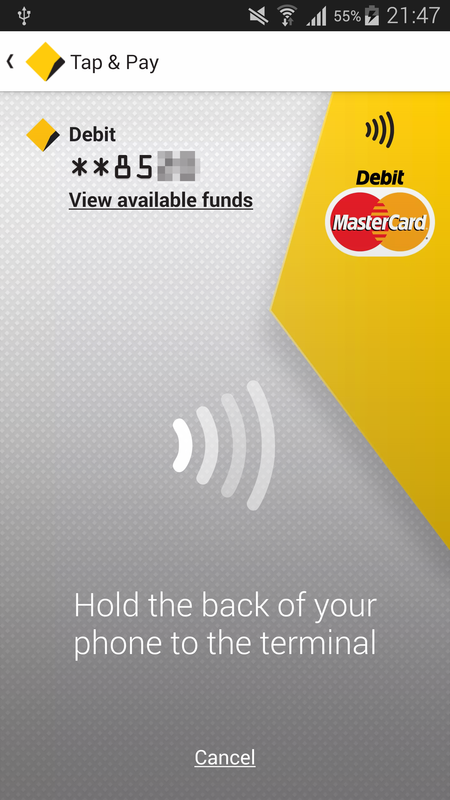 It’s the one thing that is really annoying me that people assume that CommBank have been sitting on their hands the whole time since Android 4.4 came out and only now have they finally brought this to the masses. Not true. 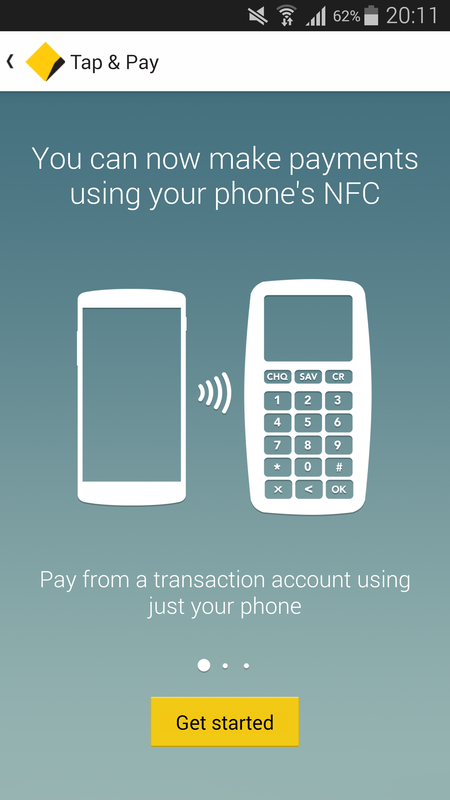 It’s been in testing for months to iron out all the kinks and ensure it works otherwise all the nfc fanboys will whine on Google play that their payment didn’t work at xyz.